You are here: Home / Blog / Welcome to Chainsaw Journal! Hello everyone. Thank-you for visiting our chainsaw site, or as we like to call it: Chainsaw Journal. It feels fantastic to finally have Chainsaw Journal up and running. It’s taken a lot of time and effort to make this happen but I’m so happy to be writing this post. The whole purpose of this site is to provide information to people looking to purchase a chainsaw for whatever your wood cutting needs require. Whether you’re new to chainsaws or already have some experience, I’m confident you’ll find useful information on this site. I know it can be challenging to find the information you need when you’re in the market to buy a chainsaw. There’s so much information out there and for a beginner it can be overwhelming. If you’re new to the world of chainsaws and are looking to buy I highly recommend that you start with our Chainsaw Buying Guide. If you’re looking specifically for a chainsaw then read on. 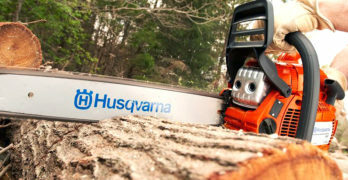 This site originated from our love of chainsaws but has recently grown dramatically in scope, and my guess is that we’ll continue to increase our coverage on outdoor tools and outdoor kids toys. As you probably already know, chainsaws are extremely dangerous. In fact, it’s the most dangerous home power tool on the market so it’s essential to understand the safety procedures that go along with owning and using a chainsaw. I can’t stress enough the importance of chainsaw safety, and I suggest you visit our Chainsaw Safety Tips page to learn more, and educate yourself so you don’t become a statistic. As you read through the site please refer to our Glossary of terms to help you make sense of what you’re reading. New content will be posted on a regular basis, so please patient, as we continue working on articles and reviews that will help you make better buying decisions. Also, we’re looking for chainsaw related stories to publish, so if you have an interesting story centered around a chainsaw then please let us know. Maybe it’s a simple story of your first chainsaw you received for Christmas, or maybe it’s a funny story about cutting down your first tree, we’d be interested in hearing about your story and perhaps publishing it. If you’re a chainsaw collector and you want to share some photographs of your chainsaws or chainsaw collection then we’d love to post those as well, together with any information you know about them and if there’s a story attached with them, even better. The best way to reach us here is through our Contact page. All messages will be read and responded to so please if you have any ideas or thoughts you want to share with us, we’d love to hear from you.